Fashion Lyrics – Karan Sehmbi : This is a Punjabi song feat Sakshi Malik is sung by Karan Sehmbi. Its music is composed by Rox A and lyrics are written by Kavvy & Riyaaz. 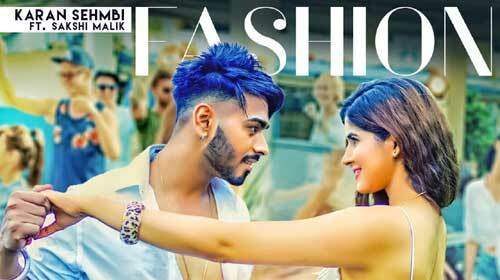 Fashion music video is directed by Gavish Pahwa. Tu fashion kar na kar ni gabru.. If you find any mistake in lyrics of FASHION LYRICS – Karan Sehmbi | Sakshi Malik song please let us know in comments.